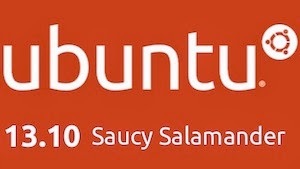 Ubuntu 13.10 "Saucy Salamander" brings a very few remarkable changes to the table. Considering Canonical's history of making radical changes to the UI, this seems like a rather bland release. In fact, the changes in this release are so obscured that many users are struggling to find enough reasons to upgrade to Saucy. There are, however, another bunch of users who feel that they should upgrade to Ubuntu 13.10. That's why we have come up with a few arguments for and against upgrading leaving you to decide what is best for you. Whether you are a new Ubuntu user or a seasoned distro hopper, there are few solid reasons to upgrade to this release. No matter what the naysayers say, the following reasons ensure that your upgrade won't be a waste of time at all. Be it the latest version of Firefox or the increased stability of the updated LibreOffice, it's always great to have the bleeding edge at your disposal. Saucy brings along a lot of important updates to some of your favorite tools like Rhythmbox, Nautilus, Shotwell, and Firefox. Smart Scopes allow you to search for anything you want right from your desktop by intelligently gathering data from your computer as well as the web. Consider this feature like Google Now for your Ubuntu desktop. Type in your query and you'll get a blend of bespoke results that have been curated from a variety of sources from the Internet. Smart Scopes alone can be considered a great reason for upgrading to Saucy. It sets the perfect foundation for a more web-oriented convergent desktop that we will see -- hopefully -- in 2014. Unity has been polished to the max with this update. Unity 7, the latest and the best release, gets rid of those little annoying bugs and brings a new level of stability to the desktop. Earlier, Unity had received a rather bad reputation for bringing radical changes that broke the desktop and created bugs that didn't exist. Those days are gone now. Ubuntu 13.10 brings a more stable, more refined desktop experience for everyone. Ubuntu users will find a lot of under-the-hood improvements one of which is the inclusion of the latest kernel 3.11. This release brings better support for graphic cards from AMD along with improvements in performance. The vox populi is on your side if you choose not to upgrade. Internet forums are abuzz with fanboys and fangirls whining about the lack of novelty in this latest Ubuntu release. Choosing not to upgrade to Saucy, we assure, won't be such a regretful decision after all. Though there are a few new features, there's nothing 'exciting' about this release. Upon updating, you won't find anything dramatically awesome that would blow your mind. In fact, post update, you'll feel as if you've just rebooted your computer. Nothing except the wallpaper would be different. No major UI changes or improvements have taken place in this release. Everything from Dash to Nautilus stays the same. There are no new indicator applets (except the keyboard applet) and nothing different to speak of. You won't find any major changes in Rhythmbox, Firefox, or LibreOffice. None of your favorite apps get a redesign, either visually or under the hood. The release, overall, is a subtle set of changes, which will not satisfy the appetite of some Linux fanboys or fangirls. If you're happy with every feature in Ubuntu 13.04 then there's absolutely no big reason for you to upgrade to this release. Even though 13.10 seems a little bland, you can choose to wait for 14.04 instead which is going to be a huge release for Canonical. If you're taking the plunge, feel free to go to ubuntu.com and download the OS right now. You can also upgrade using the software manager.